Your complete source for aquarium maintenance, aquarium service, aquarium cleaning, fish tank repairs and moves in Jacksonville and St. Augustine Fl. We stock and sell the finest aquatic equipment available. We design, build, and maintain both fresh and salt water aquariums for home and office environments. Ocean Floor Aquariums has been offering aquarium maintenance Jacksonville Fl and service in the Jacksonville Florida community since 1995. 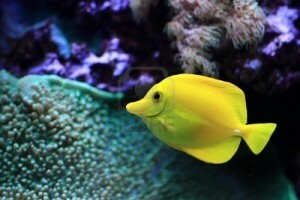 We have the experience to deal with any aquarium issue large or small. Our dedicated team of Aquatic Care Professionals is ready to serve you. We offer weekly, monthly, and semi-monthly maintenance plans as well as 24/7 emergency service. We’re available to service home and commerical aquariums in the Jacksonville area. We can provide references to many local establishments that you can view personally. We offer design, installation, routine maintenance and cleaning services. We work with both interior designers and architects during the design process to make sure your new aquatic system enhances your home or commercial site. We carry a full line of aquarium products to meet any need and can build a custom system for any space. Browse our gallery of installations for ideas on how a new custom aquarium would enhance your home or office! 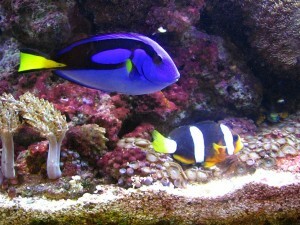 We specialize in the service and maintenance of fresh and saltwater aquariums. Check out our site and to learn about our services and products. We are also continuously adding to this site, so come back frequently to see what’s new! If you have comments or questions about our products or services, or simply need more information and want to contact us. Please click on the Contact Us button on any page within this site.